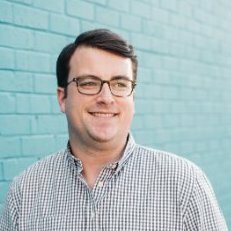 Bringing VR To Your Event! We love our customers, and in order to show our appreciation we're showcasing a few of our most recent VR event partnerships. We're always excited to help develop your perfect virtual reality event plan, and we hope that these examples can provide inspiration for how we can work together at your next event! 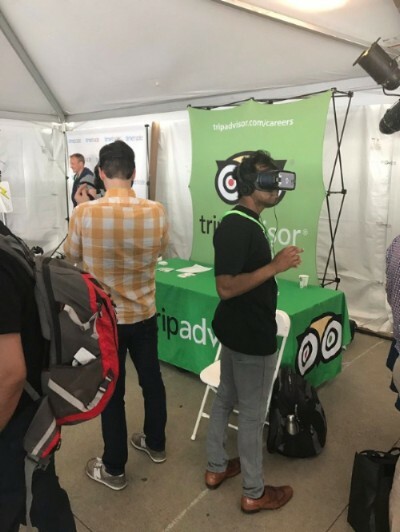 In early October, we worked with TripAdvisor in order to bring the perfect 360˚ virtual reality experience to their conference guests in Orlando. To make that happen, we brought VR headsets loaded with experiences from each of TripAdvisor's global headquarter cities including New York, San Francisco, Beijing, London, and more. This is always great use of our VR technology as we have the ability to take your guests anywhere in the world. If you're looking to transport your guests to exciting destinations at your next event as well, we can make it happen! "We had a great time! Everyone was so helpful and professional. Conference attendees loved the booth! We would not have been able to do it without [your] team. Thank you so much for your help!" In order to draw attention to their trade show booth, we worked with Global Atlantic Financial Group to develop a virtual reality experience that their guests will never forget. Using Richie's Plank Experience (one of our favorites), guests were able to walk the plank on top of a 40 story building in virtual reality. The excitement that the booth generated ended up creating a substantial buzz throughout the event, driving lead generation, and helping them stand out in the crowd. No matter what your event goal is, we can help you achieve it. We're always looking for new ways to help you take your events to the next level while ensuring you get the exact results your'e looking for. "Our tradeshow exhibit was outstanding. Customers, prospects and even competitors stopped in our booth to experience Virtual Reality and walk the plank or swim with a whale. Our objective going into the show was to create a buzz and we certainly accomplished that." Using our 360˚ headsets and our Racing VR setup, we helped Stertil Koni develop an awesome experience for their guests. Like many of our event partners, they wanted to give their attendees a variety of experiences to choose from, and we're always happy to make that happen. One of the most powerful aspects of having virtual reality at events is its flexibility, and we will always make sure you have the best combination of VR experiences. Of course, in addition to providing the technology, we focus on providing top quality service, and all of our event managers are highly trained and ready to make your event great. Because of that, we love to highlight their work to show you what you can expect while we're at your event. Check out the quote below for one example of how our event managers can impact you and your guests' experience. "Robert was outstanding to work with. He’s personable, efficient, capable and just did a super job. It got to the point that Robert would often greet visitors to the booth first and get an understanding as to their interest in our products and geographic location. Then, he would give me a quick, discrete briefing so I could begin the sales conversation and turn it over to one of our Regional Sales Managers. In short, Robert was an A+." These examples show just a few of our recent events, but we hope they have provided you with some inspiration to get started on planning your next VR experience. We're waiting to help you get started with your upcoming event, and we hope to hear from you soon! If you want to find out how virtual reality can help you achieve your event goals, just reply to this email and we'll be in touch!